You’ve got your awesome Bluetooth headphones but you don’t remember how long it’s been since you charged them. You hate to go out for a run or cycle and halfway through get that dreaded battery low alert. 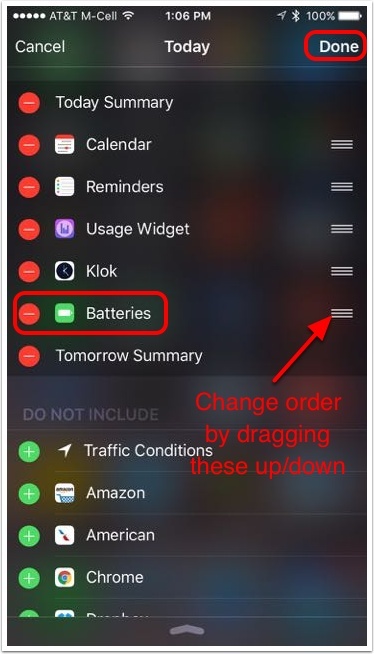 In iOS 9 for iPhone, iPod Touch and iPad, you can quickly find the battery status of any Bluetooth connected device including the Apple Watch, Bluetooth headphones and speakers and even the phone itself. Credit to Bart Busschots of bartb.ie for showing this to me. Tap the green/white + button next to Batteries. You may want to add other items from your list, or delete some from the ones above by tapping the red/white – button. You can also rearrange the items in Today by dragging the 3-line icons on the right up and down. 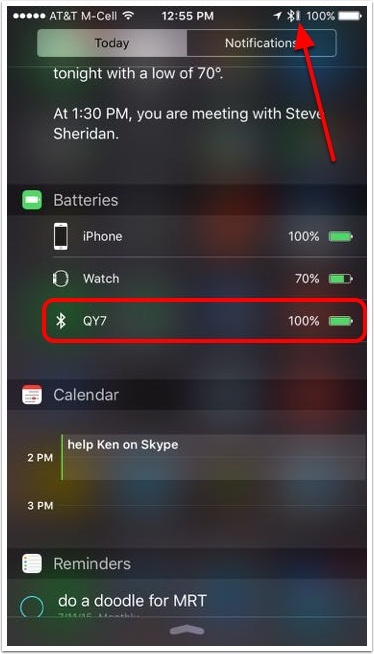 In this example, I’ve turned on my Biena Bluetooth Headphones, which are identified QY7 under Bluetooth, and I can see that their battery status is 100%. My iPhone is also at 100% while my Apple Watch is at 70%. 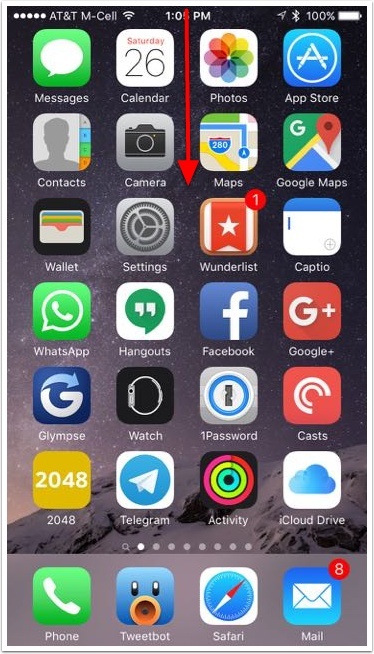 As a bonus prize, you can also see to the left of the normal iPhone battery status, there’s now a tiny vertical bar showing the battery status of any Bluetooth connected device. 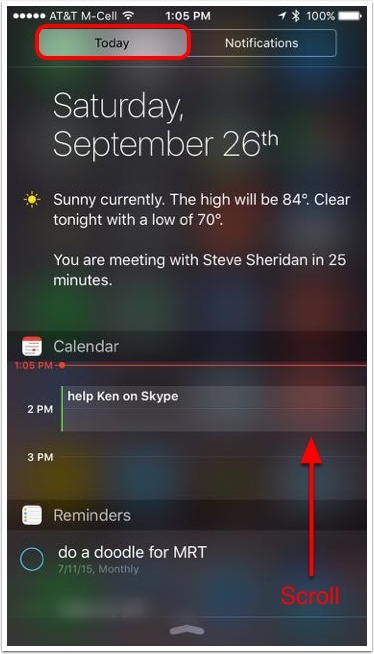 Not sure it’s big enough to help, but now we can see the full info in our Today widget.